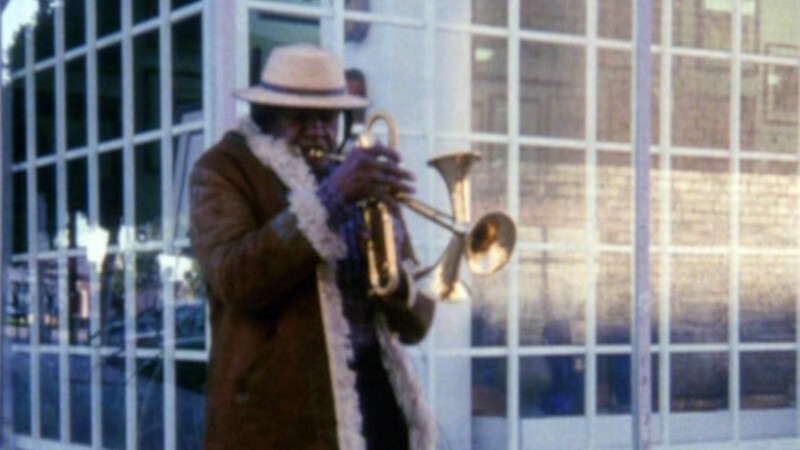 National tragedies can cast a long shadow on the art forms tasked with memorializing them. And in Japan, perhaps no historical event has had a more complicated relationship with the screen than the bombing of Hiroshima. In 1952, when the Japanese Teachers’ Union (JTU) commissioned Hiroshima-born director Kaneto Shindo to make the first feature film to confront the aftermath of the bombing, it had been nearly seven years since the end of World War II. During that time, the Allied occupation, which had only been in retirement for a month when Shindo began shooting, had considerably changed the local film industry, transforming Japanese cinema into a platform for American ideology and making the bomb a taboo subject. Following Japan’s surrender in 1945, the occupation, led by General Douglas MacArthur, sought to reshape the nation according to “American-style” democracy, attempting to eliminate Japanese militaristic and fascistic institutions while encouraging ideals suppressed by the prewar Japanese government, such as universal suffrage, freedom of assembly and speech, agrarian reform, and unionization. Powerful unions were organized at major film studios like Shochiku and Toho, the latter of which went from being the biggest producer of wartime propaganda to being the biggest producer of “democratization films,” which promoted the agenda of the occupation government. From this period emerged such films as Akira Kurosawa’s No Regrets for Our Youth (1946), a condemnation of militarism and celebration of democracy, and the explicitly pro-union Those Who Make Tomorrow (1946), by Kurosawa, Hideo Sekigawa, and Kajiro Yamamoto. But beginning in 1950, as the Cold War escalated, a change in the Americans’ initially liberal policies led inadvertently to the strengthening of independent cinema. A red purge swept through Japan, expelling accused communists from their jobs, in a disturbing echo of what was going on in Hollywood at the time. 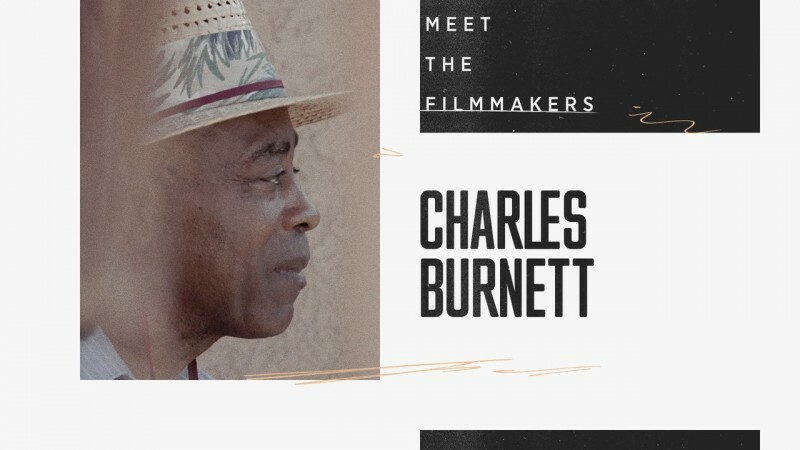 Essentially blacklisted from the major studios, ousted filmmakers gravitated toward independent production companies primarily founded by leftists. This new wave of companies included Kindai Eiga Kyokai, formed by Shindo with his colleague Kozaburo Yoshimura, both of whom had been ostracized for the “dark outlook” of their social criticism. When the occupation packed up and left in April 1952, those who had wanted to use film to explore the aftermath of the bombings saw their chance. The JTU—which had formed in part due to collective guilt over teachers’ role in propagating imperialistic dogma that encouraged students to die for their country—was among the most fervent crusaders for tackling the subject cinematically. The union approached Shindo with a proposal for an adaptation of the best-selling book Children of the Atom Bomb, an anthology of students’ recollections compiled by Arata Osada. With Children of Hiroshima, his third film as a director, Shindo addresses the bomb’s lingering impact on hibakusha with a delicate touch, mixing respectful observation of their hardships with a sense of survivor’s guilt and a glimmer of hope for the future. The narrative revolves around Takako (Nobuko Otowa), a teacher who makes her first trip back to her hometown of Hiroshima four years after the war. She pays respects to her deceased parents and sister at what was once her home, which has been reduced to a pile of debris, and visits with surviving former coworkers, students, and their families, hearing their stories and discovering the ongoing effects of the A-bomb. With shots of the devastated city and a bombed-out building in its opening credits, Children of Hiroshima is immediately rooted in realism, demonstrating Shindo’s awareness of how significant these images would be for a Japanese audience. The skeletal remains of Hiroshima Prefectural Industrial Promotion Hall (now the iconic Hiroshima Peace Monument) feature prominently and wide exterior shots highlight the decimated landscape, which often dwarfs the characters in striking, somber compositions. Throughout the film, as Takako looks upon these sights and hears stories from hibakusha, close-ups of her reactions convey a deep, introspective sorrow. These shots open a window for audience identification, but they also suggest a sense of immobility and imply the limitations of bearing witness to tragedy. Takako is a victim but also an outsider looking in with a certain detachment. Unwilling or unable to live in her hometown, she is ultimately limited to taking what’s left of Hiroshima with her and trying to start again. 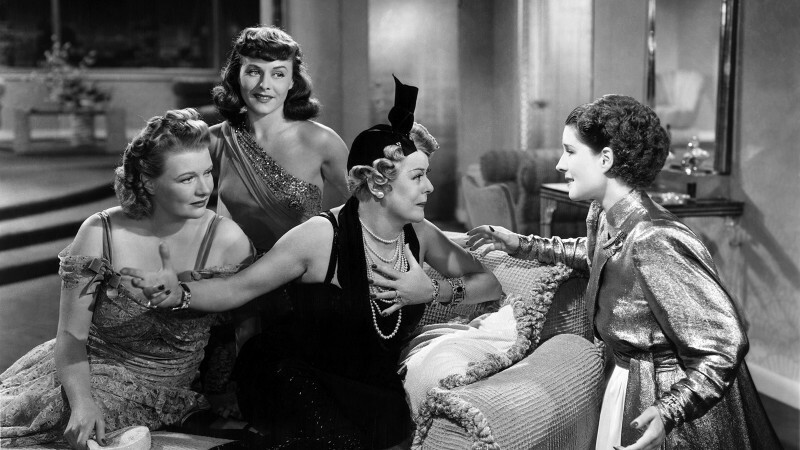 By the film’s end, the sky is clear of bombers, but the memory remains. Although Children of Hiroshima was relatively successful upon its release in Japan and went on to premiere internationally at the Cannes Film Festival, the JTU claimed that Shindo had “made [the story] into a tear-jerker and destroyed its political orientation.” Indeed, the closest Children of Hiroshima comes to a political statement is “war is hell,” uttered by a schoolgirl dying of radiation poisoning. Absent are any mentions of the cause of the war or condemnation of the bomb and those who dropped it. To satisfy its original antiwar intentions, the JTU immediately funded another adaptation of Children of the Atom Bomb. This time it went with director Hideo Sekigawa, a communist who had worked on left-leaning films for Toho in the early years of the occupation. 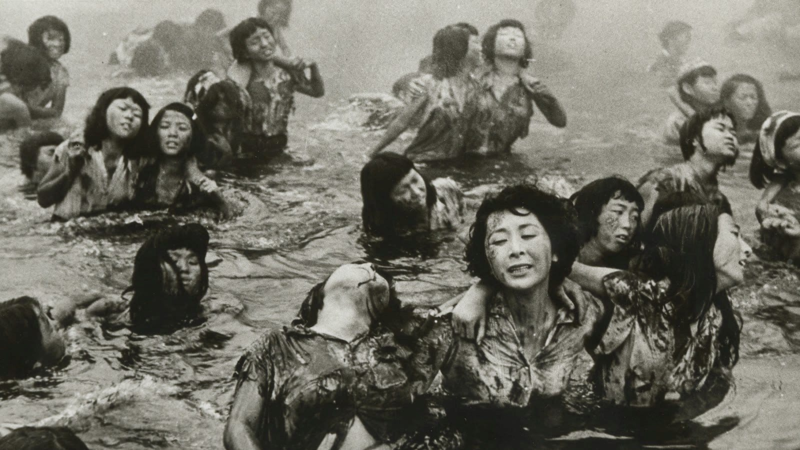 Simply titled Hiroshima, his take on the material would prove to be much more ideologically overt and agitprop—not dissimilar to the approach of some of the “democratization” films initially encouraged by the occupation. Beginning with a text crawl describing the morning of the bombing from the perspective of Captain Van Kirk, navigator of the B-29 that dropped the bomb on Hiroshima, the film segues into a scene in which a schoolteacher new to Hiroshima (Eiji Okada) learns about the scars the bombing has left on his hibakusha students, who make up one-third of his class. Within the first ten minutes, the film packs in a wide range of subjects, many previously suppressed by censors, including discrimination against hibakusha, the ramifications of radiation poisoning, and the idea that the annihilation of Hiroshima was enabled by American racism against a non-white enemy. Unlike Children of Hiroshima, Sekigawa’s film does not keep to the teacher’s point of view, follow a linear narrative, or offer emotional identification through one central character. 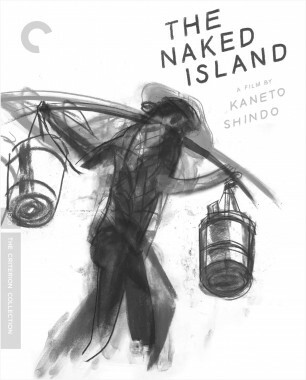 Its two storylines—about a school dropout who copes with his trauma by gambling, and the reunification of two children with their father—are interspersed with scenes portraying the Japanese military and wounded victims in an under-equipped hospital, documentary-like footage of everyday life in Hiroshima, and a horrifyingly graphic passage that reconstructs the moment of the pika-don (the word is a combination of Japanese onomatopoeia for a bright flash of light and the boom of an explosion) and its immediate aftermath. 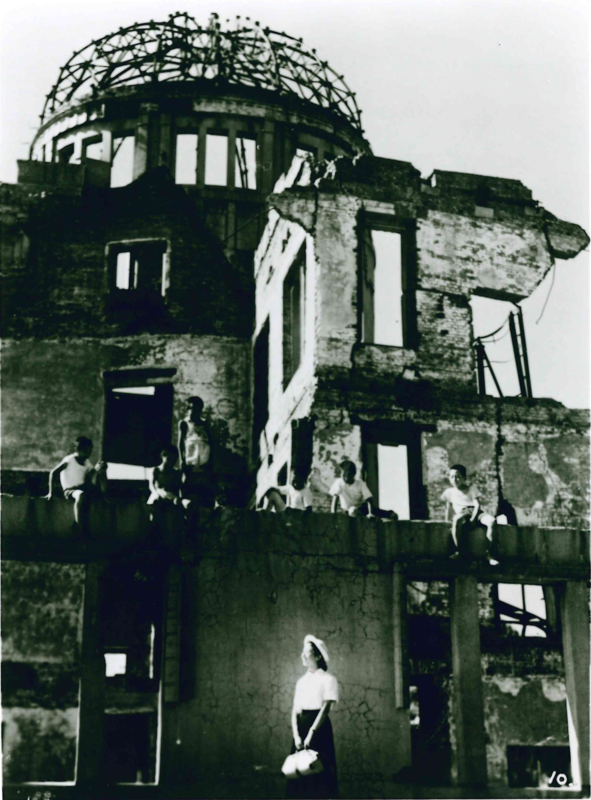 U.S. military personnel make an appearance in the film, at first with “panpan girls,” taking pictures of the Hiroshima Peace Memorial along with supposedly American tourists, accompanying a student’s voiceover narration in which she expresses fear of Japan’s remilitarization. During the occupation, censors did their best to remove any direct mention of the American presence in Japan—an attempt to assert that the Japanese were taking control of their new democratic destiny without the influence of the Allied Powers—so including images of soldiers amidst the backdrop of devastated Hiroshima was a boldly pointed choice that not only confirmed the reality that Japanese had been living with since the end of the war, but also suggested culpability for Japan’s current misery in a highly ironic way. The Japanese imperial military are depicted as foolishly one-dimensional, short-sighted, and devoid of a moral compass. They are shown demanding undying loyalty to the emperor while shouting at rows of school children before the bomb is dropped, continuing to do the same even amidst the burning wreckage and carnage surrounding them after the explosion. In perhaps one of the film’s most representative scenes on the matter, imperial military leadership agree to deny informing the Japanese public that the bomb dropped on them was a nuclear weapon, asserting that it would be detrimental to the war effort while insisting upon absolute fealty to the emperor, among other jingoistic platitudes. Meanwhile, a Japanese scientist sadly looks upon a moth hopelessly fluttering against a windowpane. Despite growing public anticipation, Hiroshima’s reception was mixed. Like Children of Hiroshima, the film had been due to premiere on an anniversary of the bombing. But after Shochiku allegedly insisted that the content was too “anti-American” and “cruel” and demanded that several scenes be cut, the release was stalled, and all five major studios reportedly ended up refusing to distribute it. The JTU decided to self-distribute rather than cater to studio demands, and while many praised the film for its realism, the Ministry of Education, Science, Sports and Culture considered it too “anti-American” to show to schoolchildren. Hiroshima was finally distributed in the U.S. two years later in an edited version, giving many American audiences their first opportunity to see images of the effects of the bomb. 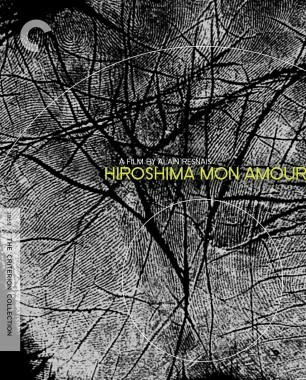 And in 1959, the film gained even more visibility in the West when Alain Resnais used selected scenes for his masterpiece Hiroshima mon amour, which starred Hiroshima’s lead actor, Eiji Okada. Hiroshima may have initially been seen as a corrective to Children of Hiroshima, but today both can be appreciated as powerful reflections of the politically fraught context from which they emerged, each with its own provocative take on a tragedy that had been glaringly absent from the big screen up to that point. As the U.S. again finds itself in an escalating cold war, these long under-seen landmarks of Japanese cinema are essential viewing for those seeking to grapple with nuclear horror not as an abstract issue but as a possible reality. Children of Hiroshima and Hiroshima are streaming on FilmStruck from now until May 19, 2018.